The better you maintain your car or truck, the longer it will last. There are many systems that work together for your vehicle to function, and it’s your job to take care of them. Transmission problems in Silver Spring can be particularly inconvenient, and they can even put you and other drivers in danger. That’s why you should work with your automatic transmission service to maintain your vehicle. Keep an eye on your fluids, seek repair whenever it’s necessary, and check in with your mechanic occasionally. Continue reading to learn about the essentials of vehicle maintenance. For your transmission to work, it needs fluid. Not just any fluid will work, however, and old, contaminated fluid can quickly cause transmission problems. You can tell what kind of shape your transmission fluid is in by looking at it. Fresh, clean transmission fluid should be a bright red hue. Dirty, contaminated transmission fluid, on the other hand, might be more of a brown. If you check your fluids and notice that your transmission fluid is on the brown side, talk to your transmission repair shop to see if you have a problem. There is no reason to wait to fix a transmission problem, as this will only allow the issue to become more severe. If you want to make sure your car stays on the road, you should fix any transmission problems as soon as you notice the signs. Even if you’re not sure if your transmission is the problem, you should visit the transmission repair shop to get a professional opinion. Then you and your mechanic can decide how you should proceed. You won’t always notice a transmission problem right away, so you should see your mechanic on a regular basis. Your transmission service professional will know exactly what to look for, and he or she might pick up on signs that you miss. Catching problems early will give you the upper hand and allow you to take care of them before they develop. If you drive a high mileage car that is equipped with a manual transmission, you will need to be on the lookout for signs that your vehicle needs a transmission replacement. When manual transmissions wear out, they can put older cars out of commission. 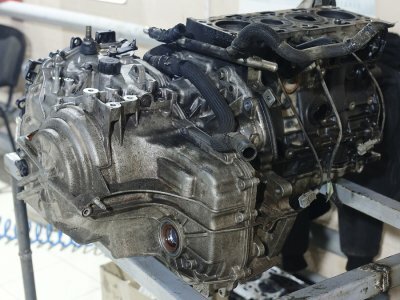 A transmission shop that offers rebuilt transmissions in Bethesda can help you determine when it is time to put a new manual transmission in your car. 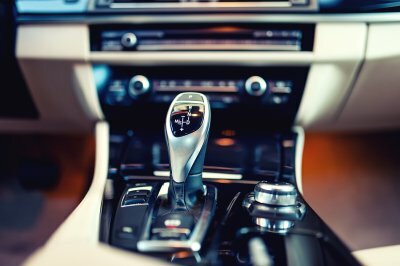 Here is a look at some of the most common signs that your manual transmission is in need of replacement. As you shift between gears in a manual transmission, you will need to use the clutch to engage and disengage the flywheel. If your clutch starts to slip, you may notice that your engine revs but does not allow you to easily transition between various gears. With a full clutch replacement, you may be able to avoid replacing your entire manual transmission. Typically, you can expect to install a new clutch about once every 100,000 miles. 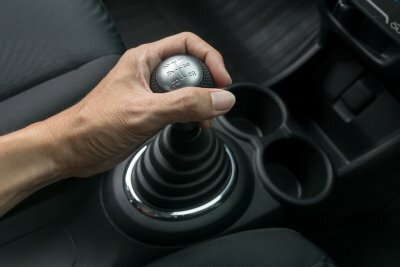 When your manual transmission is functioning properly, it will allow you to easily slide between all of its various gears. An extremely sticky shifter could indicate that your manual transmission needs to be rebuilt or replaced. In many cases, shifting problems are caused by gears that are extremely damaged. Replacing your transmission’s gears and other major components can help you keep your high mileage car out on the road for longer. A transmission fluid leak may also indicate that your manual transmission needs to be replaced. If your manual transmission has sprung a fluid leak, you may start to notice pools of bright red fluid forming on the pavement where you typically park your car. Without a steady supply of transmission fluid, your vehicle’s gears and clutch will not be able to operate correctly. For answers to your questions about knowing when to replace your manual transmission, be sure to contact your local transmission repair shop. Transmission problems can dramatically affect the drivability of your vehicle. When your car starts to experience severe transmission problems , it may start to slip out of gear or produce strange sound and aromas while you drive. With help from a transmission specialist near Bethesda, you can prevent the need for a transmission replacement for as long as possible. 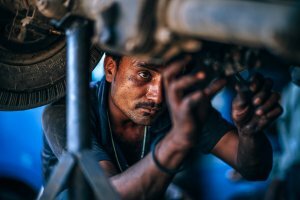 Your transmission mechanic can fix problems as they occur, and can also provide you with preventative maintenance services for your transmission. 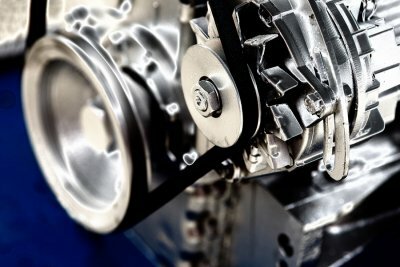 Read on for a look at some mistakes that you should avoid if you want to extend the life of your transmission. A common transmission maintenance mistake for many drivers is to neglect regular transmission fluid inspections. Transmission fluid, much like motor oil, is important for cooling, lubricating, and cleaning the various components that are located within your car’s transmission. Every month, you can use the transmission dipstick to make sure that your transmission fluid is at the proper level, and is not getting too dirty. Your transmission needs the same level of care and maintenance as the other components in your vehicle. In order to ensure that your transmission has the longest lifespan possible, you will need to have it serviced around every 30,000 miles. 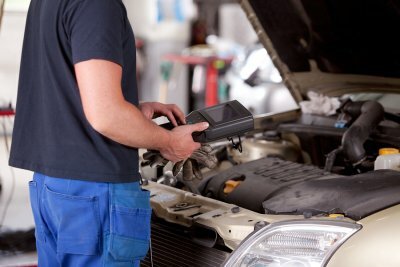 During your 30,000-mile service appointment, your mechanic will replace your transmission fluid and filter, inspect your vehicle’s transmission components, and check to make sure that your computer is not sending out any transmission trouble codes. If you want to go above and beyond to make sure that your transmission has the longest possible life, it is important to evaluate your typical driving conditions. Driving over very hilly terrain, hauling heavy loads, or sitting in stop and go traffic can all cause your transmission to wear out prematurely. By changing your driving habits, you may be able to help your transmission to last for even more miles down the road.